South Africa has some of the most spectacular uncharted mountain ranges that often go unpublicised and remain unknown, even to return visitors. So, it’s almost as easy to find mountain view cottages in South Africa as it is beach cottage stays. It boils down to whether you’re a mountain, or sea, person, really. 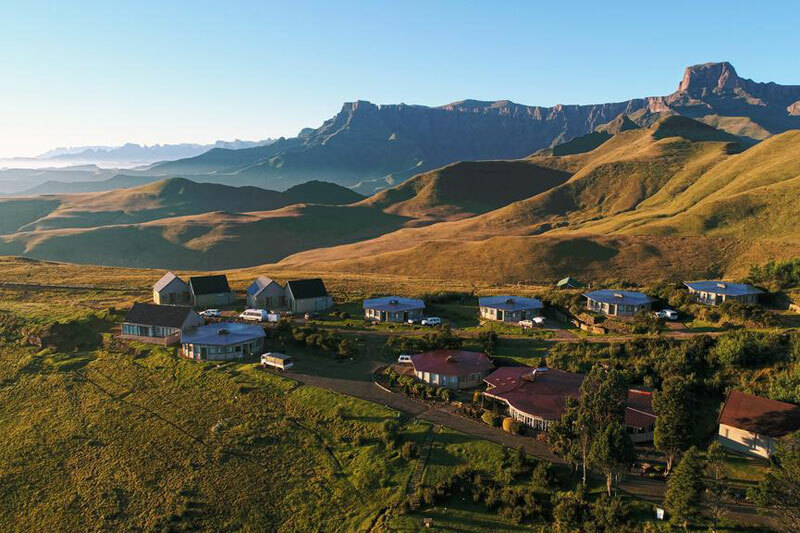 What better place to start than in one of the country’s most photographed ranges of mountains – the Drakensberg. 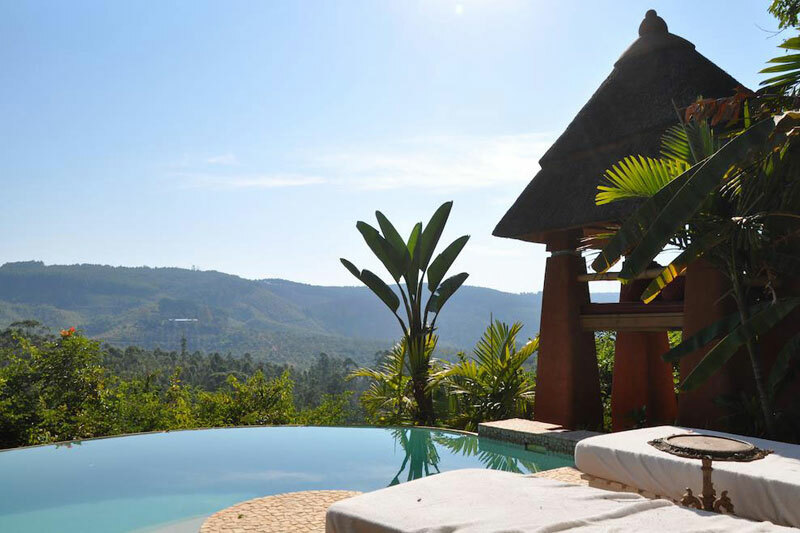 This series of chalets and bungalows, whilst not strictly cottages, offer the kind of mountain views South Africans are happy to boast about, one scape after the next. And plenty of hiking opportunities too. 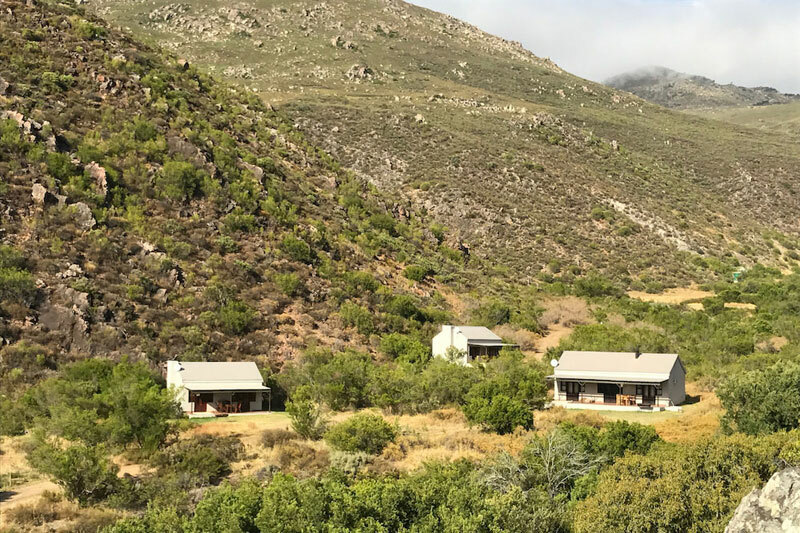 This is mountain view cottages South Africa exactly as you’d expect them, hidden at the base of the Cederberg Wilderness area on 270 hectares of fynbos and citrus. Not only is there a warm water spring but there’s a 4 km hiking trail that takes you to a viewpoint. If your heart is not claimed by this little cottage right up against the Malutis then wait until you see the wooden deck on the backside. You’ve all the privacy you need, yet town and its restaurants and shops is simply a stone’s throw away. 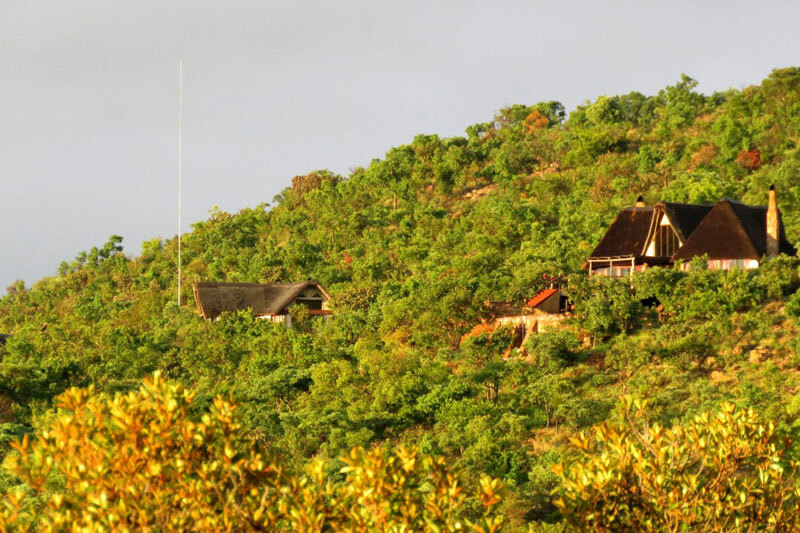 Three totally private self-catering cottages/chalets set in the mountains of the Waterberg with superb views out over the valley beyond. This peaceful rejuvenating environment allows for walks on the farm, swimming in a dam, and your own plunge pool. Real down time. 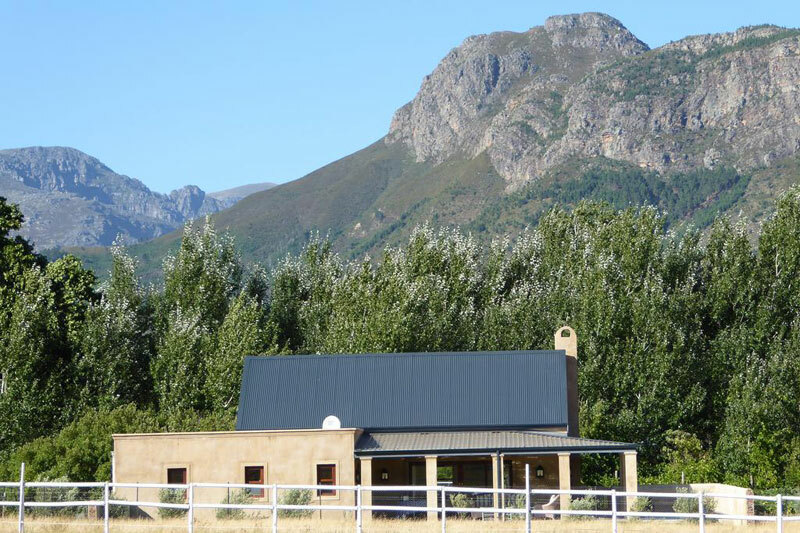 It won an SA Venues guest award for most romantic chalet accommodation. 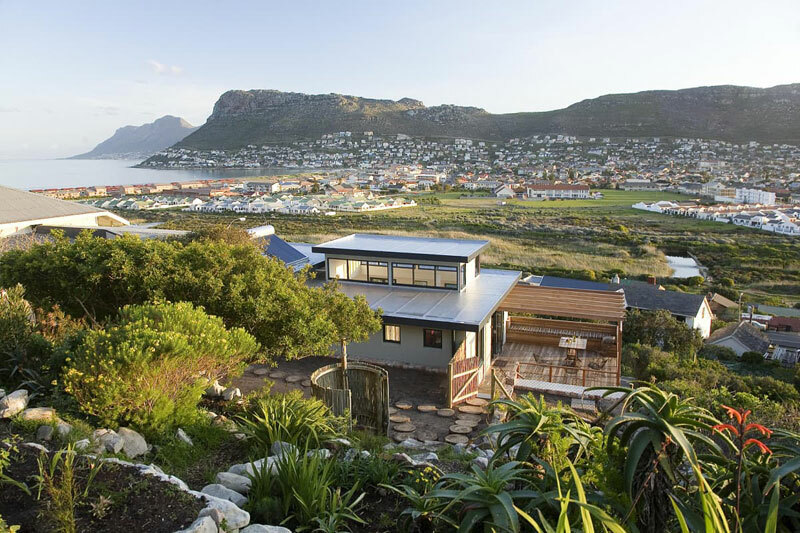 Two beautiful mountain view cottages South Africa with their backs against the mountains, set in a two acre award-winning indigenous garden and with access to the seaside suburb of Hout Bay in Cape Town. But it’s the mountain views that win hands down. Set up against the slopes of Trappieskop Mountain, bordering the Table Mountain National Park, it doesn’t take much to understand why this mountain view cottages South Africa was named Mountain House. 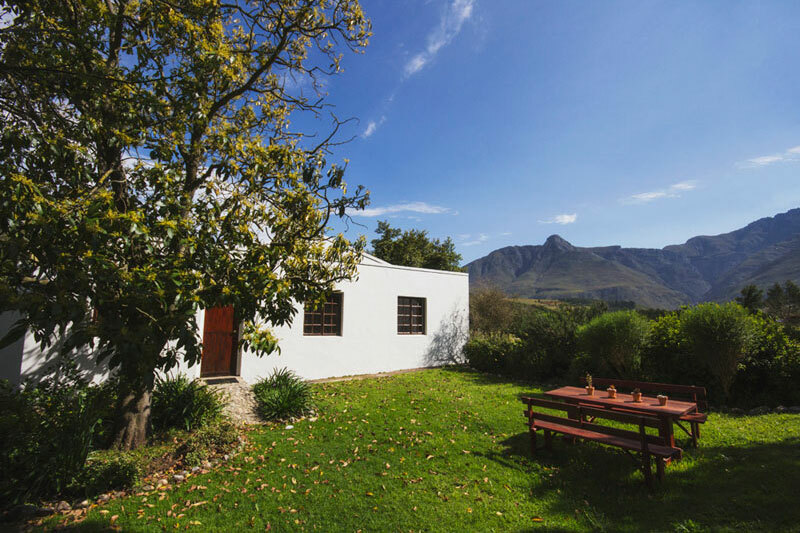 Four totally private and individual historical hermitage cottages on a farm just outside Swellendam, at the foot of the Langeberg Mountains. You might want to focus your attention on Rose or River Cottage as Guinea Fowl and Aardvarks Burrow share a wall (perfect for friendship groups). And those mountain views! 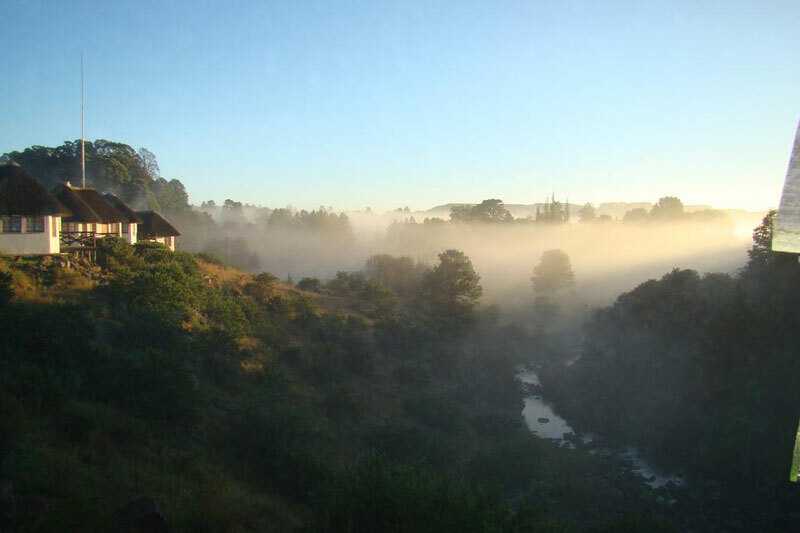 What better mountain area to stay in than high up on the Hogsback Pass in amongst the Amatola Mountains. 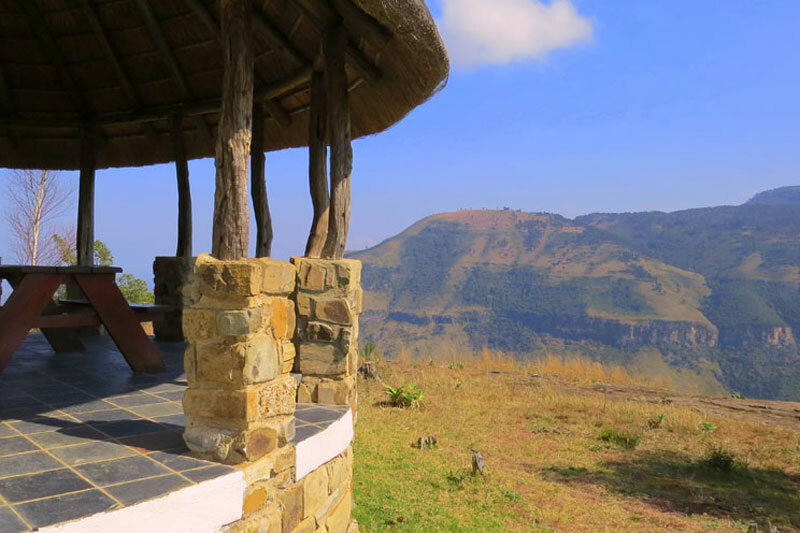 The Edge Mountain Retreat wins SA Venues’ best self-catering cottages in Hogsback for the very reason that most of them are literally perched on the edge of the cliff. 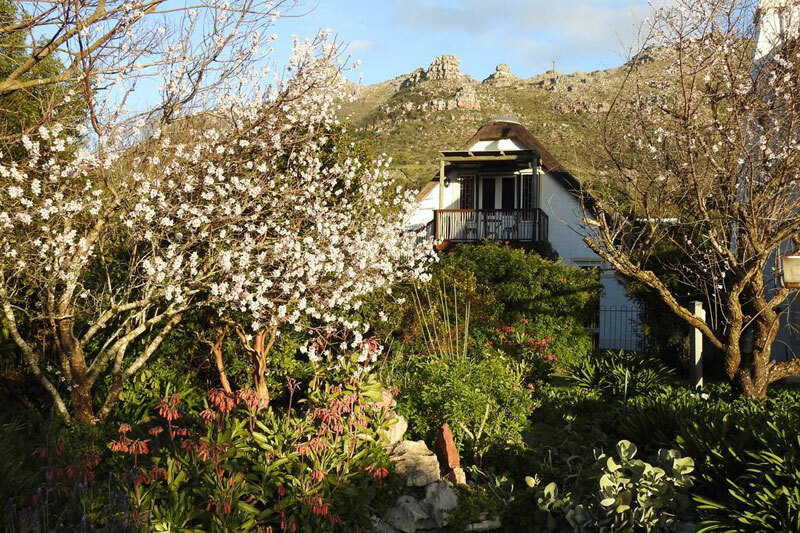 A prettier mountain view cottages South Africa you’re not going to find. 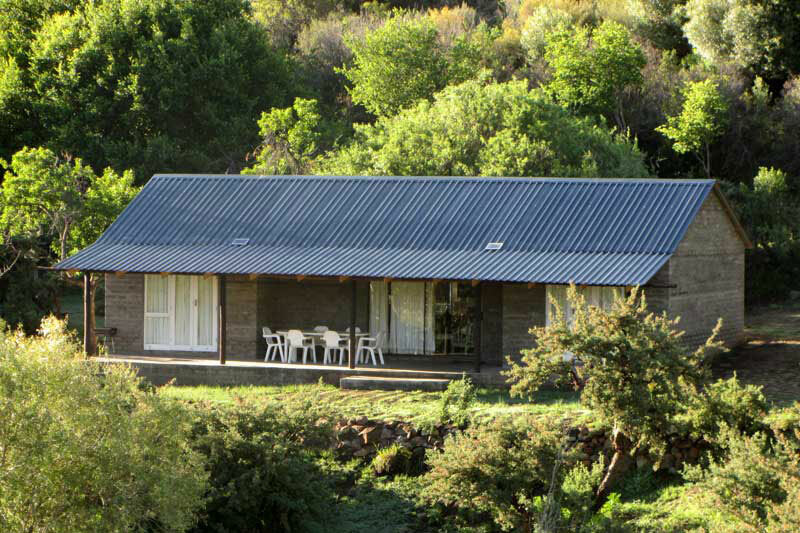 Four characterful, secluded self-catering cottages in the unspoilt countryside of the Drakensberg overlooking Lions River. If you’re seeking peaceful and breakaway then these thatched cottages with private balconies are up for grabs. If you’re after particularly romantic then have a closer look at Copper Cottage. We don’t have to say terribly much about this wooden cabin at the foot of the Witzenberg Mountains close to the Winelands’ town of Wolseley, as the pictures speak for themselves. The views of the mountains from these serious mountain view cottages South Africa (Olive, in particular, has exceptional mountain views) will have you cozying up for the weekend with only a pile of books for company – who needs the nearby restaurants and myriad things to do (including MTB routes) when you’ve views like these? 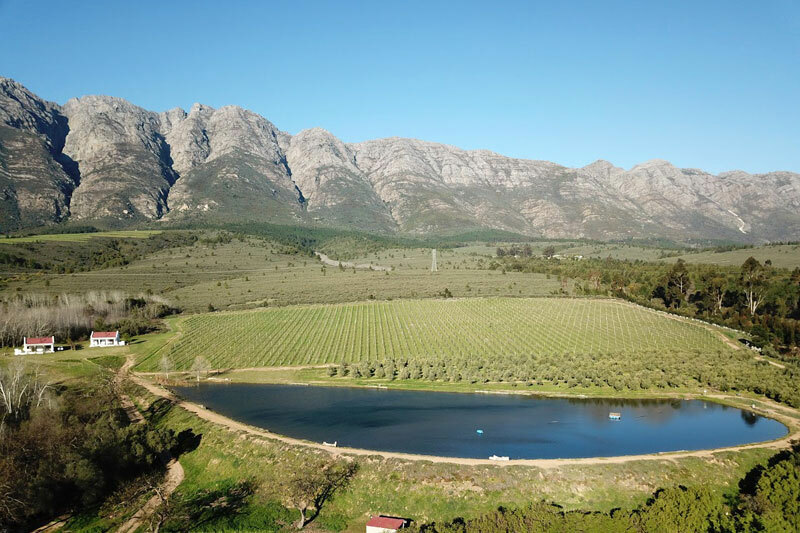 You’d expect mountain views like these on a farm just a short walk from the village of Franschhoek, but there’s an extra bonus as Saddlebrook Cottage is contained within its own walled garden, and the mountain views are 360° views. More of a ranch than mountain view cottages South Africa, this three-bedroom mountain home lies up against Golden Gate National Park. There’s a cosy fireplace for winter months and mountain views from any and every room. Perfect. 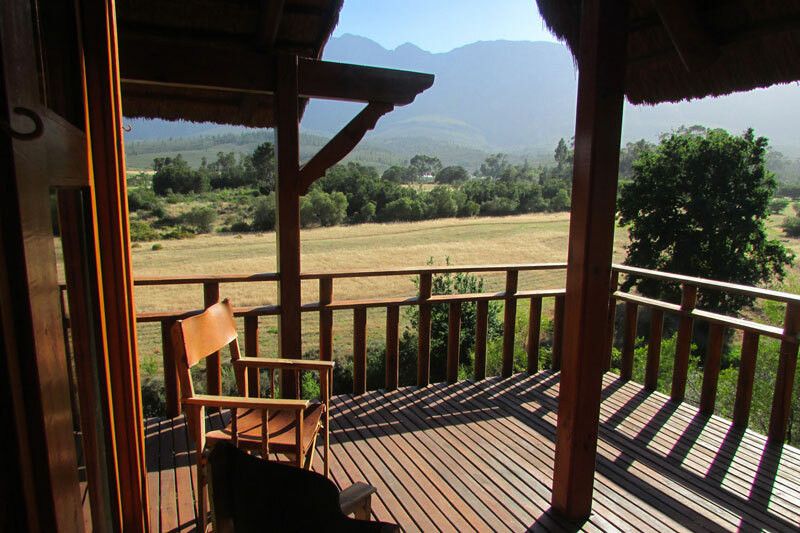 You’re right on the slopes of the Klein River Mountains here with not only incredible views, but hiking trails as well. 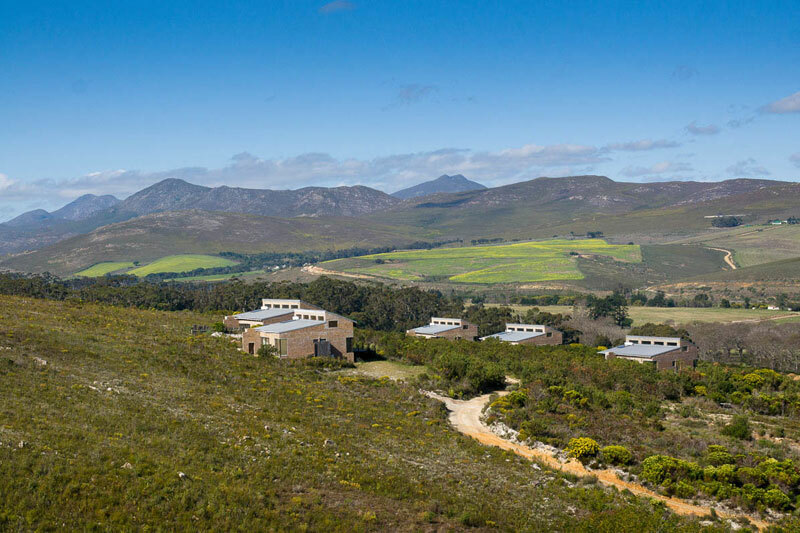 Every one of the five self-catering chalets is set in amongst fynbos, the mountains behind you, the Overberg before you. 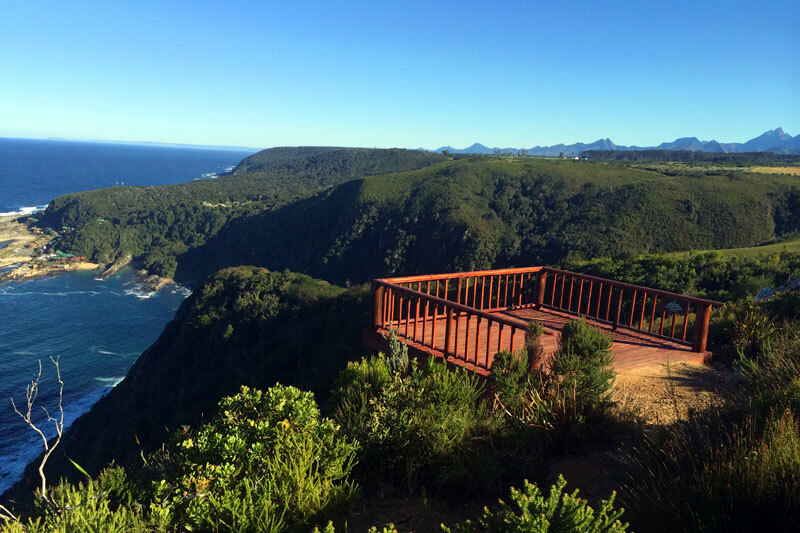 You’ve not only got views of the Tsitsikamma Mountains but also 360 degree ocean and indigenous forest views. Choose from a series of wooden lodges, glamorous tented accommodation, or four rustic semi-detached cottages (perfect for mountain bikers or backpackers). 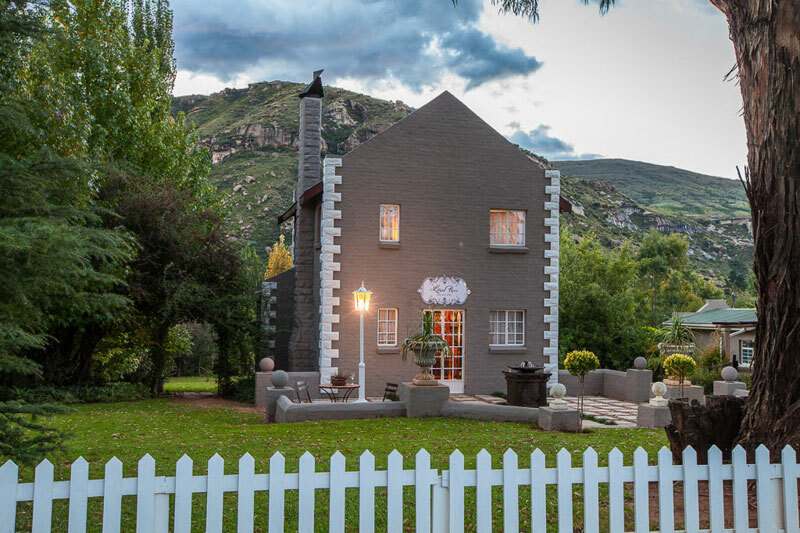 In the heart of the Witteberg Mountains, in a little gorge with green pastures and sandstone mountain sides, you’ll find a three-bedroom house, a silo and a river cottage. This is serious unwind territory, 5 km from the nearest tar road. 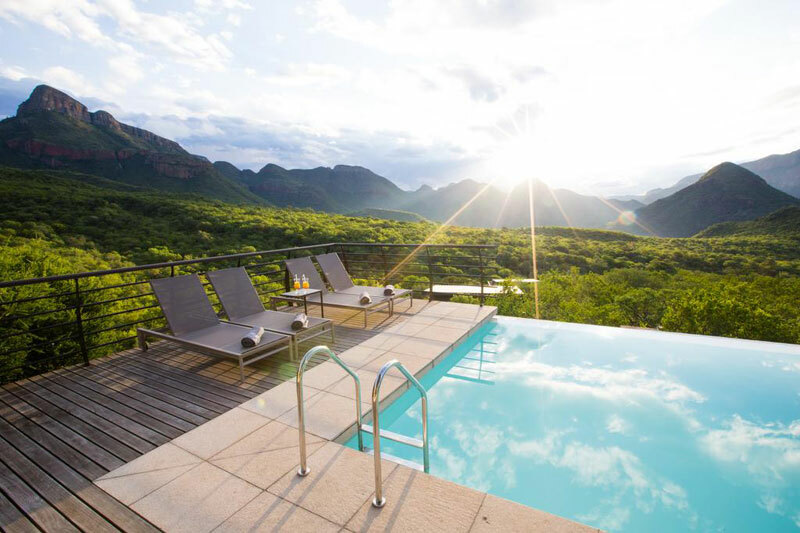 This mountains-meet-bushveld lodge is rather magical, and whilst not a cottage definitely fits the bill when it comes to mountain views, access to the Panorama Route, and romance with a capital ‘R’. Off-the-beaten-track mixed with a touch of Zanzibar a stay here has been the highlight of many a visitor’s holiday. If you’re looking for real privacy try Moon River lodge. 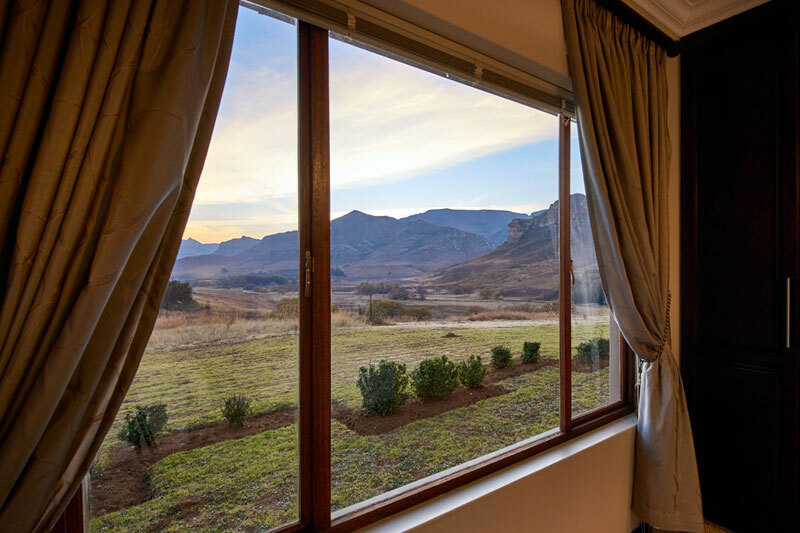 We thought we’d leave the best for last, because when it comes to mountain view cottages we doubt you’ll find more gobsmacking views than from your mountain view suite.